A second place finish at the season-concluding Rally Chikmagalur was enough for Mysore’s Lohitt Urs and co-driver Shrikanth Gowda to clinch the 2015 Indian Rally Championship title last weekend. 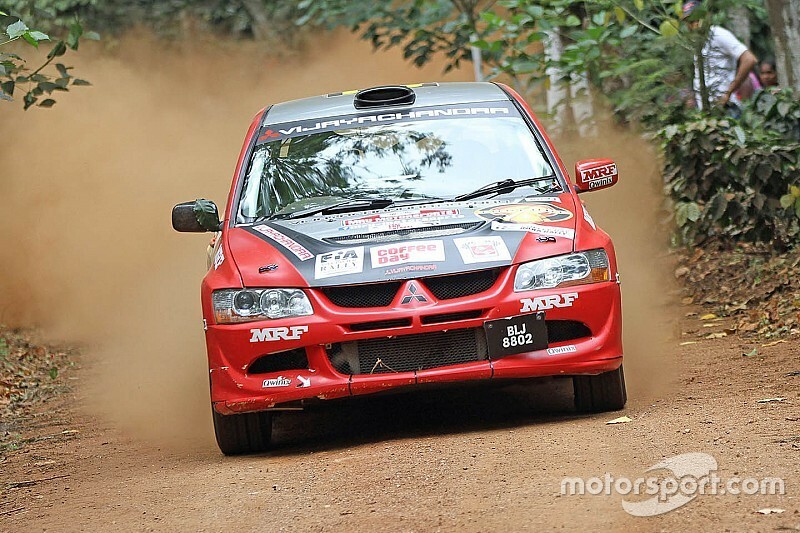 The Rally Chikmagalur was also the final round of the Asia Cup, the Asian division of the FIA Asia-Pacific Rally championship as India bids to host a full round in 2016. Urs took top honours in Asia Cup from Satyan Kochar & co-driver Amit Wagchoure second and Pradeep PG & co-driver Shekar third. 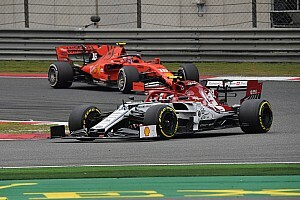 The championship was already decided in China and so none of the international drivers took part, nor did India's Gaurav Gill. In the IRC finale, Urs arrived in Chikmagalur with a sizeable lead in the standings with two victories in three rounds, while Gill was nowhere in the title fight, having drawn a blank in the previous two rounds in Coimbatore and Bangalore. On the opening day of the rally that began at the Amber Valley school grounds, Mahindra duo of Gill and Amittrajit Ghosh (co-driver Ashwin Naik) set identical times to lead the standings. Gill and Gosh swept all opposition in their respective XUV500s, setting a time of two minutes and 43.7s. “I am happy that our team fared well at the end of the first day. I didn’t try anything fancy, just wanted to finish the Super Special Stage without any drama,’’ said Gill. 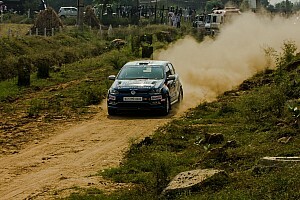 Team Yokohama's Karna Kadur finished nearly 10s adrift in third place, driving a much smaller and compact Volkswagen Polo. Championship leader Urs, dovetailing his duties in the Asia Cup, was only 13th quickest on day one. Gill emerged as the clear leader on day two, breathing through the Special Stages in 1h58m18.9s. Toyota EMR's champion Dean Mascarenhas, along with co-driver Shanmuga SN, enjoyed a competitive outing, rising up to second in the overall standings. Meanwhile, Urs recovered from his leg one woes to finish in third, but lagged some way behind Gill to challenge for the rally win. The status quo remained in Rally Chikmagalur on Sunday as Gill cruised to his second win of the season, with a registered total time of 2h6m18s. Urs, however, had more reasons to rejoice as second place in Chikmagalur was enough for him to seal the title following the Asia cup win. “I am obviously delighted to win the Asia Cup round and the national championship. 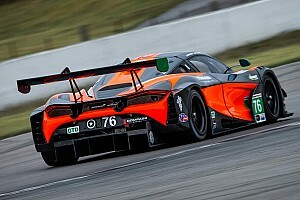 We had some problems with the car early on, but we managed to set things right,” said Urs. 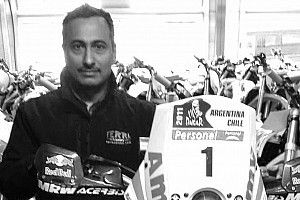 Ghosh was classified third in the second Mahindra entry. Speaking at the conclusion of the rally, Gill said: “It has not been the best of seasons for me with so many non-finishes." "I am of course disappointed to lose my national title but feel good to finish the season on a high. Looking back at the three previous rounds in the IRC, Gill won the season opener while Urs came back to take two victories in the second and third round, claiming authority over the title. Gill had started the new IRC season on an ominous note by winning the Rally of Maharashtra in his Mahindra XUV500. 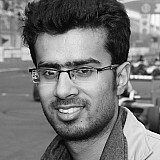 The New Delhi-born driver scored the maximum of 34 points. An inspired drive from Arjun Rao Aroor and co-driver Sathish Rajagopal on the final day of the rally put the Mangalore driver ahead of Ghosh by just one second in the final classifications. Behind the leading trio, Urs finished a disappointing fourth, having had to resort to street tyres, due to late delivery of rubber and spares. After his round 1 troubles, Urs fought back in Coimbatore to cruise to a relatively easy win, ahead of veteran rally driver Sunny Sidhu and Mahindra Adventure’s Ghosh. Having played safe in the first leg, the Mysore-born driver stormed through the field in the second leg, securing his first win of the season. Round 1 winner Gill retired with a driveshaft problem at the end of leg one but rejoined in the second leg, earning six valuable points for a second place finish. In the K-1000 rally, it was Urs again collecting 25 points for the overall win as Abhilash PG, who had won the rally wasn’t eligible for points with Arjun Aroor Rao finishing second and Ghosh completing the top three. Gill retired after sliding off the route, damaging his XUV500 to such an extent that he couldn’t continue any further. A stage win - and the seven subsequent points - was his only consolation.